Would Robin Ruin The Christopher Nolan Bat-Movies? Christian Bale has promised we'll never see Robin in one of the new Bat-movies, telling a reporter: "If Robin crops up in one of the new Batman films, I'll be chaining myself up somewhere and refusing to go to work." What do you think - could a Dark Knight sequel benefit from having a little plucky kid acrobat jumping around and cracking jokes, to lighten the mood? Personally, I doubt you could fit the cute sidekick into the noir-inspired world of Chris Nolan's Batman movies? 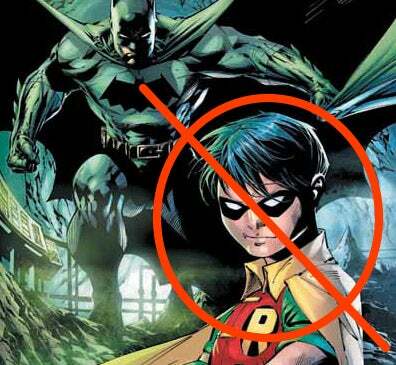 Even Frank Miller, whose Batman: Year One inspired Nolan's vision, has failed to make Robin work in his All-Star Batman And Robin The Boy Wonder comic. The original Batman comic only lasted about a year before Robin turned up in Detective Comics #38, and the comics have been struggling fitfully to return to their lone-hero roots ever since - most notably after killing off Robin in the late 1980s. What do you think? Would Robin ruin the Bat-movies? Or could Nolan and co. pull it off?